Unlike previous studies of the Soviet avant-garde during the silent era, which have regarded the works of the period as manifestations of directorial vision, this study emphasizes the collaborative principle at the heart of avant-garde filmmaking units and draws attention to the crucial role of camera operators in creating the visual style of the films, especially on the poetics of composition and lighting. In the Soviet Union of the 1920s and early 1930s, owing to the fetishization of the camera as an embodiment of modern technology, the cameraman was an iconic figure whose creative contribution was encouraged and respected. 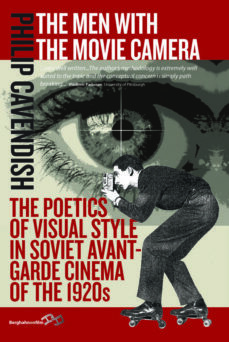 Drawing upon the film literature of the period, Philip Cavendish describes the culture of the camera operator, charts developments in the art of camera operation, and studies the mechanics of key director-cameraman partnerships. He offers detailed analysis of Soviet avant-garde films and draws comparisons between the visual aesthetics of these works and the modernist experiments taking place in the other spheres of the visual arts.